Rat, which is murine, the most general pest, its not only destroy the food, but also the furniture, clothes, building or wire. They are the main vector and transmitted to human directly; include plague, epidemic hemorrhage, leptospirosis, murine typhus, salmonellosis, etc. Even through their short life cycle, average life expectancy of 6 - 7 months, but their propagation is strong. 1. Check whether there is any mouse hole, mice nests, and feces, such as rats. We would suggest amendments to the customers if the environment is not up to standard. 2. Planning a difference measures that according to their living habits, and places. The distinctive results that is place the government registered rat poison and used anti-rat pharmacy or mixed with rat cage / rat sticker. 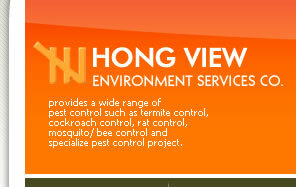 pest control, termite control, white ant control, mice control, rat control, fire ant control, bee control, wasp control, cockroach control, fly control, mosquito control, disinfections.